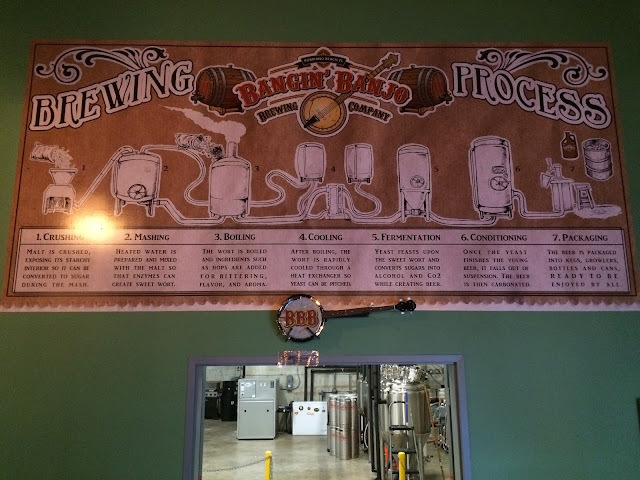 While I was sitting in the waiting room at Whole Foods Bakehouse, it occurred to me I was in Pompano Beach, home of Bangin' Banjo Brewing Company. Yeah, it's a mile away. I was definitely going after the really cool tour I did the other day. Before all was said and done, two other new friends of mine from the Whole Foods tour were joining me; Shaina from Take a Bite Out of Boca even already knew owner Adam Feingold, who was on duty when we arrived! 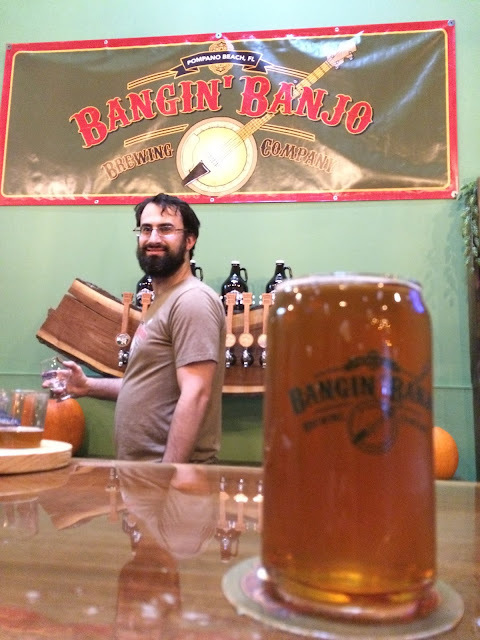 We actually called ahead to make sure Bangin' Banjo was open at 3:30 on a Wednesday. Sure enough, official opening time is 4 pm but Adam was more than welcoming a little early. 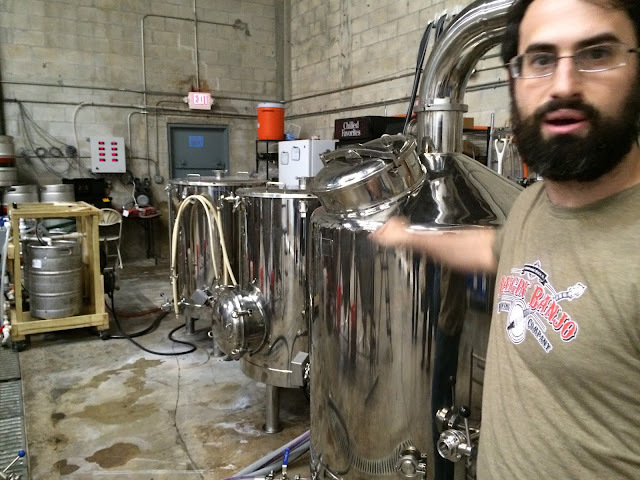 Since no one else was there, we asked Adam to show us around the actual brewing space (remember we already had close-toed shoes from our visit to the bakery). 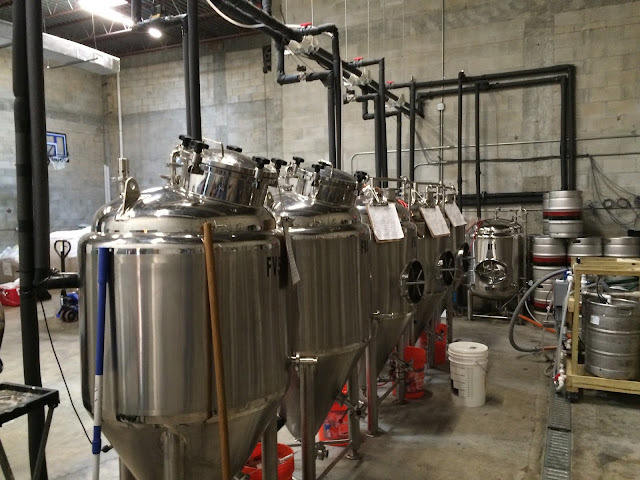 Bangin' Banjo has a 3 Barrel brewhouse with what looks like plenty of room to expand as they grow. The indoor basketball court might need to move to the parking lot and the grain might need a tidier stack, but they'd definitely meet demand as they build their brand! They currently brew a few times a week depending on what events are happening around town and at the brewery. I hear the geek board game night is a big draw! Seriously. OK. Flight time. 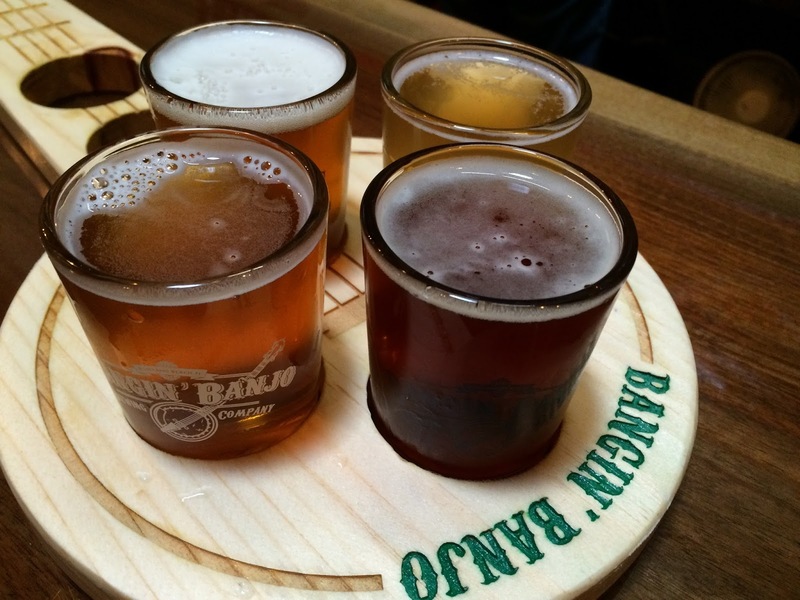 I decided on a flight of 4 though you can pick 5 or 6 beers to go into your banjo shaped rack. 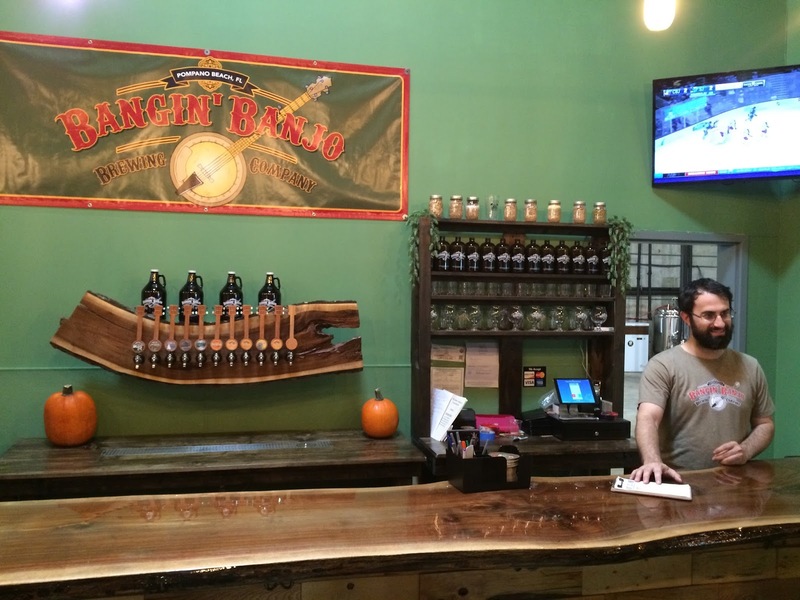 Bangin' Banjo is known for its lower to mid-ABV beers, though they have a few that don't meet that category. As their tagline goes... Any Day Beer For Every Day People! 1. Gosegetter Gose. Nicely tart and acidic, hints of orange zest, very refreshing. Adam said they were going to use this base beer (minus the orange zest) to create some fantastic expressions and serve them at a Sour Fest this December at Bangin' Banjo. Pay attention to their website--the treatments sound insanely good! 2. Odin's Revenge Belgian Red Ale. Malty, spicy, simple drinker. 3. Hop of the Muffin American IPA. My favorite. Tropical fruity orange, nice spiciness, lightly dry at the finish. I grabbed a pint after the flight! 4. Windmill Slam Double IPA. 157 IBU! But though it definitely had some bitterness, this was a balanced DIPA with a nice sweet malty backbone. Very enjoyable. Bonus 1. 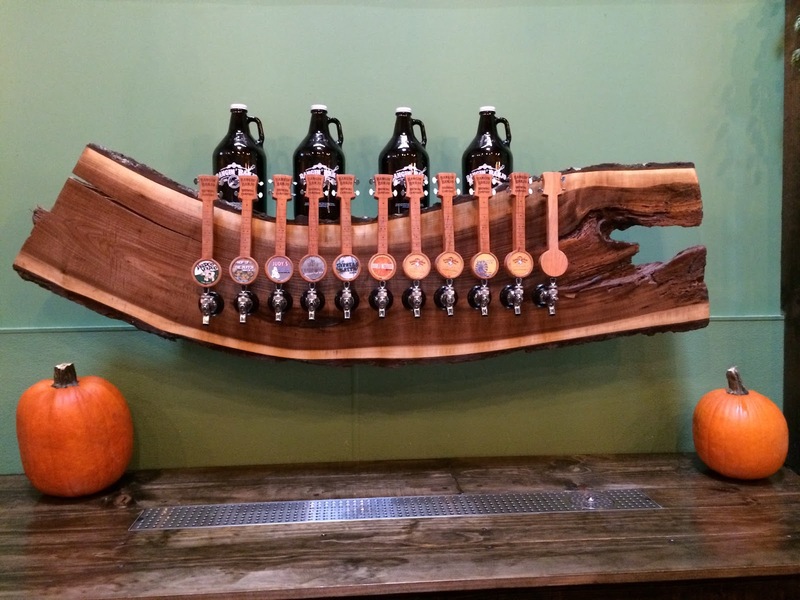 Pumpkin Porter. My friends let me try/finish their samples. This was pretty good for a style I mostly despise. Subtle sweetness, tame spices. Check it out if you like these beers. Bonus 2. Chocolate Covered Peanut Porter. 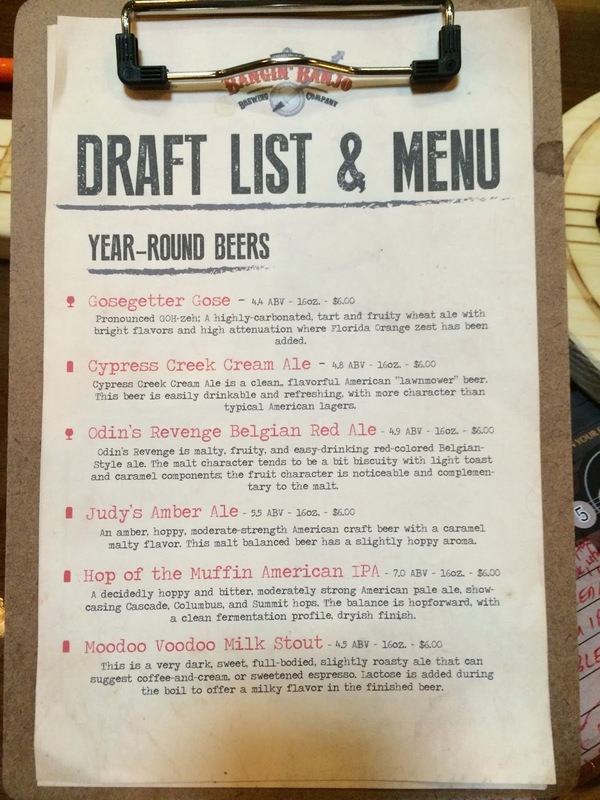 This will be released Friday 11/6/15 though they served it at a beer dinner on Tuesday 11/3 and we got a taste on Wednesday too. Really good flavor, exactly what the name promises, not too sweet. very enjoyable. 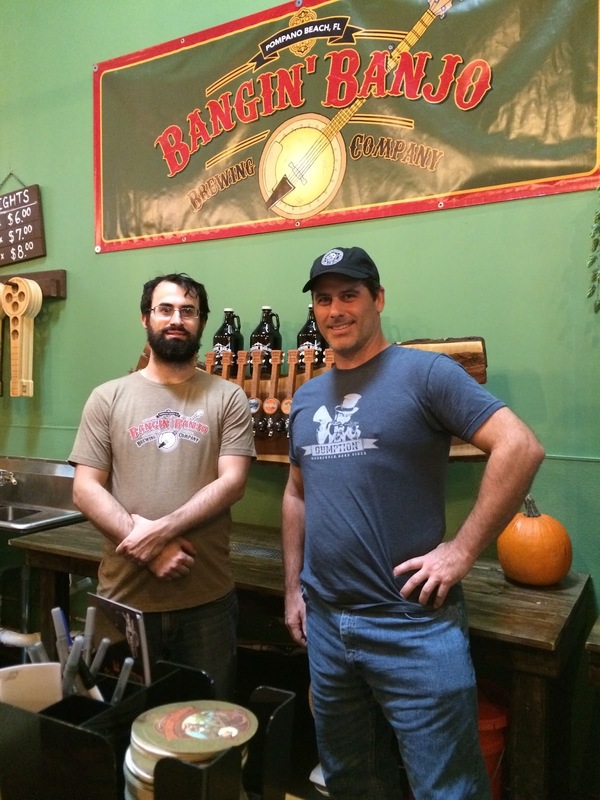 Bangin' Banjo Brewing has a really nice space. Plenty of room to relax, shuffleboard, sports on TV. I already mentioned they have a board game night. 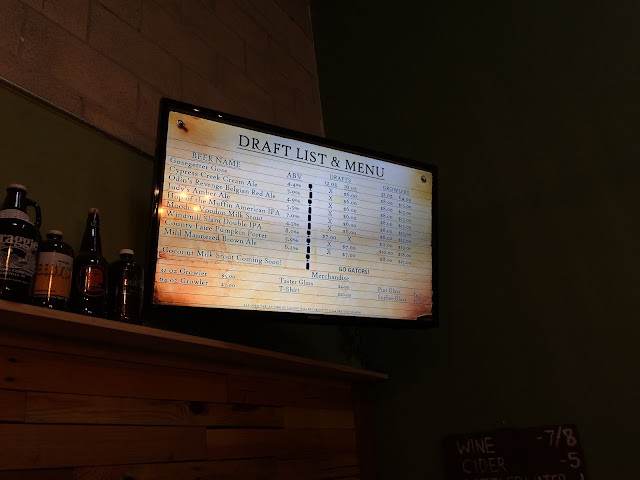 They also do trivia and have had some live music and other fun events in their short history. Their distribution is ultra local now, so why not stop by and check out the beers and space!?! Your boyfriend hates beer? Adam has wine and champagne, too. And probably a beer recommendation to change his mind! Thanks to Adam for showing me around and answering a lot of questions and posing for pictures, etc. Hope to make it back again real soon!